Very "native" and interesting photo. Nice capture of the typical central american facial features. Good work. Nice contrast in the photo. Thanks for the words about Guatemala! Wonderful portrait this one.. the way the lihgt falls on her face makes this a perfect one.! 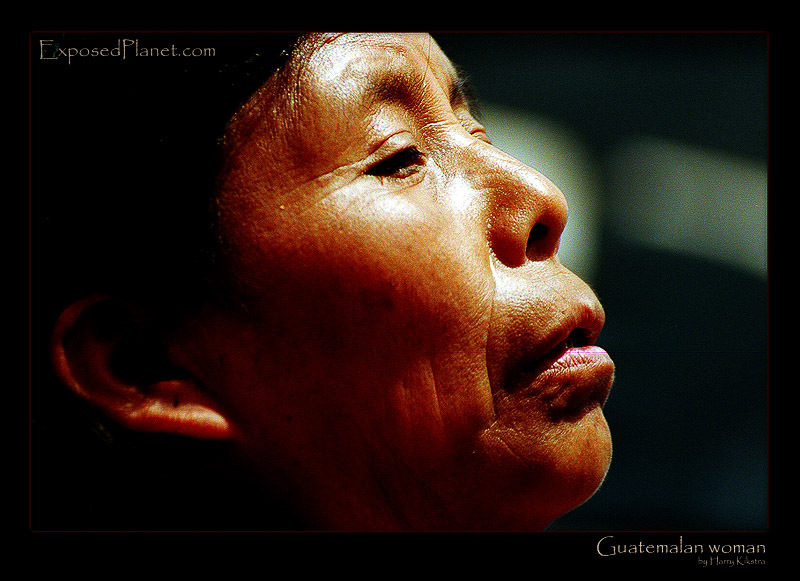 The story behind "Guatemalan woman close up"
Woman enjoying the afternoon sun in one of the most colourful and wonderful countries on earth.